Limits, like fears, are often just an illusion! 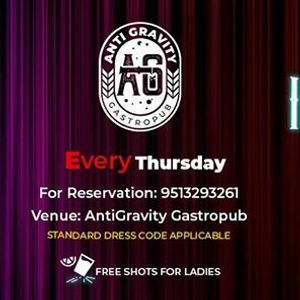 AntiGravity GastroPub is all set to fill your Thursdays with MAGIC. 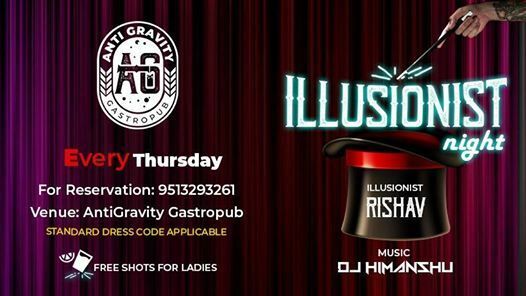 Come witness the magic with the best Illusionist in town- Illusionist Rishav! And on the dance floor enjoying love beats of DJ Himanshu.